NOTE: A joystick is recommended for better control of this craft. The X-22 combined the thrust-vectoring technology of the X-17 with a unique, twin-engine airframe layout. The result was an extremely manueverable aircraft that had significant top speed. 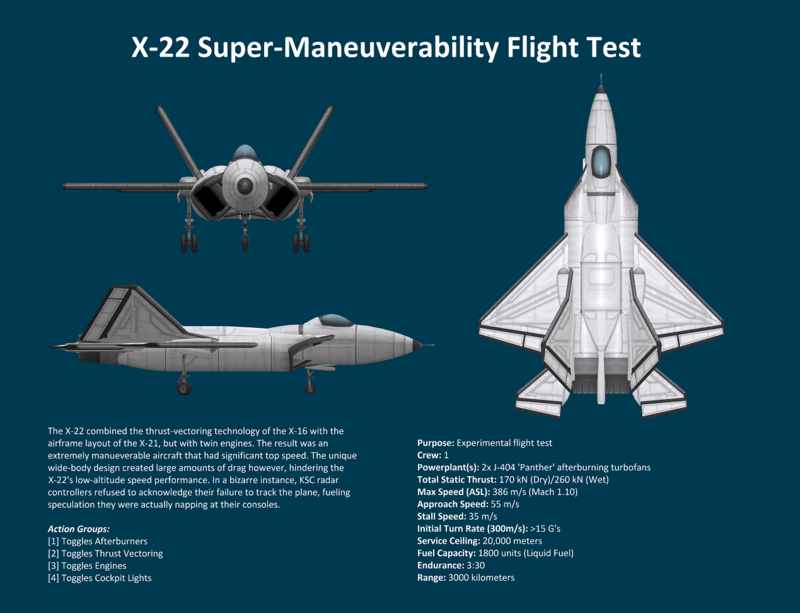 The unique wide-body design created large amounts of drag however, hindering the X-22’s low-altitude speed performance. In a bizarre instance, KSC radar controllers refused to acknowledge their failure to track the plane, fueling speculation they were actually napping at their consoles.